Good morning! I hope you are all enjoying your day so far. As you know this month I tried something a little different with the free sponsorship which gave me a chance to do fun features like this! So say hello to these lovely ladies! Hello everybody! I'm Leila--like the Clapton song--and I write over at Confection, posting about all things thrifty, my job as a high school special education teacher, my dashingly handsome partner Henrik, Oakland, writing, and a variety of other things that come up in my daily life as a 22-year-old. I have been traveling all over this summer (Denmark, Sweden, Italy, and France thus far) and am currently in Tunisia, home of the Arab Spring, visiting my very large and very wonderful family. Stop by and say hey if you'd like! DMae is a line of hand-painted tee, totes, and soon more by me Naimah. A 28 yr old desk zombie by day, and music junkie, writer, and crafty gal by night. My blog features my life, and the things I love, like, and loathe all at the same time. I have an all-in policy where honesty comes first, no lies...just the truth. Hardships, happiness, and all! 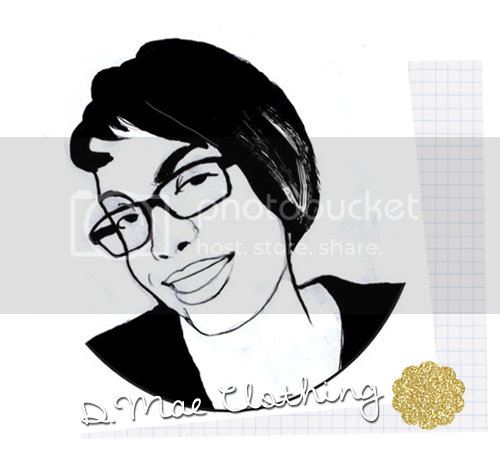 DMae began as a hobby, and is now blooming into a full-fledged indie biz. In the coming months, you can look forward to a new line of totes, hoodies, and a special project I've cooked up all coming to the shop. You can also request a custom item by sending me an email, we can take the creative ride together!! Currently the entire store is on sale through Wed July 18th. You can check out the blog for more details and/or email me!! 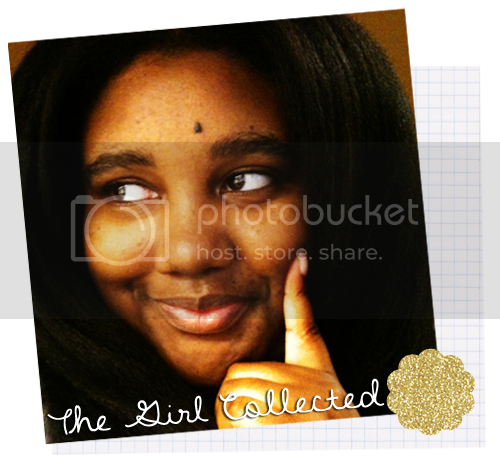 Hi, I'm Shani and I blog over at The Girl Collected. I'm an introvert learning to live in an extroverted world. I love writing, crafting, photography, miniatures and cats. Stop by and say hi. Stay tuned tomorrow for Part II of the Sponsor Spotlight!